“More than 90 percent of our business comes from our insurance partners,” CARSTAR President Michael Macaluso said Thursday, and the company has signed performance-based agreements that tie the 600-shop franchisor even more closely to carriers. Performance-based agreements are DRP deals with teeth. An insurer won’t simply withhold referrals for failing to meet the carrier’s key performance indicators. CARSTAR risks financial penalties as well for noncompliance. “We’re held much more accountable at the store level,” CARSTAR Canada operations Vice President Jeff Labanovich said on a conference call celebrating the chain’s 600th store. CARSTAR must meet or exceed the PBA requirements, he said. OEM repair procedures, which aren’t controllable by the shop, can dictate severity and cycle time. Automaker instructions and vehicle technology dictate repair/replace and OEM/alternative parts decisions. Asked how the company could financially juggle quality repairs and meeting insurer PBA targets, CARSTAR Canada sales Vice President John Harvey said the chain didn’t do so by cost-cutting or eating the cost of necessary operations. Instead, it sought to find the savings in efficiency and relied on its EDGE platform to do so, he said. Closing Ratio: By capturing the customer’s business, CARSTAR assists in repairing more vehicles through direct repair programs. The goal is 80 percent closing ratio. Cycle Time: Reducing the keys to keys measure reduces length of rental, which in turn promotes cost savings as well as improves the customer experience. The goal is to be two days better than the industry average. CSI: Focusing on the customer satisfaction measure-ments of Kept Informed, On Time Delivery and Refer Shop KPIs allow CARSTAR to achieve the highest NPS in the country along with the highest survey return rate. The goal is 83 percent NPS. Labanovich said the company had also doubled its operational head count on both sides of the border to 50-55 people, is expanding its EDGE Performance Groups, and went to a zone performance group format to examine financials with an eye towards productivity and the operational platform. The company also had tools and programs like “central review,” Harvey said. Review teams examine estimates to ensure consistency and quality and deliver repeatable results sought by insurers, according to Harvey. “Ultimately, if we can reduce variation, we can control costs, without sacrificing quality,” he said. Direct repair program business models could be threatened by the rise of OEM certified collision repair networks. Some automakers have said or suggested they will vehicle telematics to detect a crash and immediately recommend certified body shops. Ford research indicates customers want an automaker’s suggestion of a shop far more than other referral sources, including insurers, IBIS reported. Asked about referral competition from automakers, Harvey said he thought OEMs want to be closer to the customer. “They share a mutual client with insurance partners,” he said, agreeing OEMs would want to influence customer decisions. “We will partner with OEs and insurance companies equally,” Harvey said. 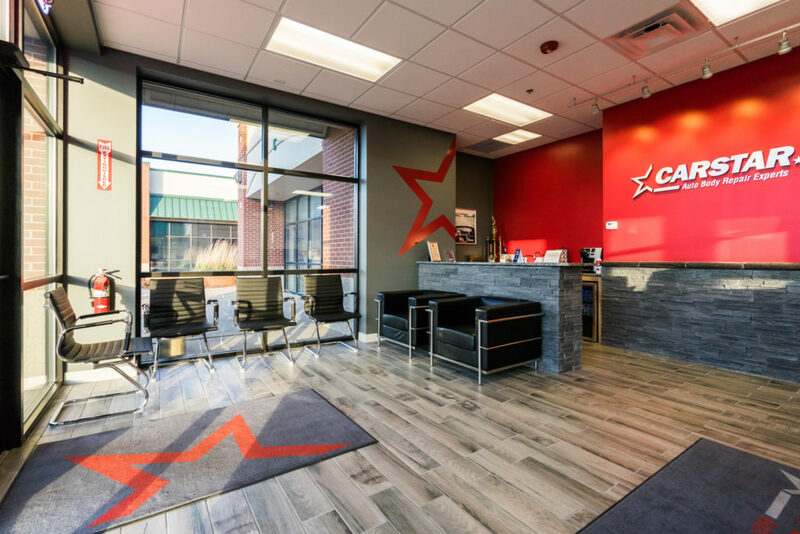 Labanovich said CARSTAR encouraged shops to be OEM-certified for no other reason than to ensure the facilities are always delivering safe and quality repairs. Labanovich said CARSTAR had an opportunity, “even a duty,” to be a “conduit” between OEMs and insurers and educate both industries. “We can be that go-between,” he said. At some point, the two networks might conflict, we suggested. For example, an OEM wanting new parts used on repairs, and an insurer wanting recycled or aftermarket ones. CARSTAR wanted to find a balance and demonstrate to insurers, “this is what’s required to do a safe and quality repair,” while retaining lines of communication with automakers, he said. 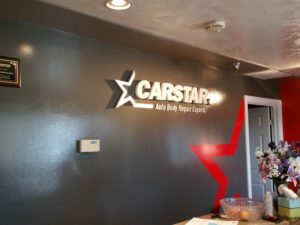 Thinking things will remain the same as today is the wrong approach, and if CARSTAR keeps at the forefront, “we’re part of the vehicle making the change,” Labanovich said.